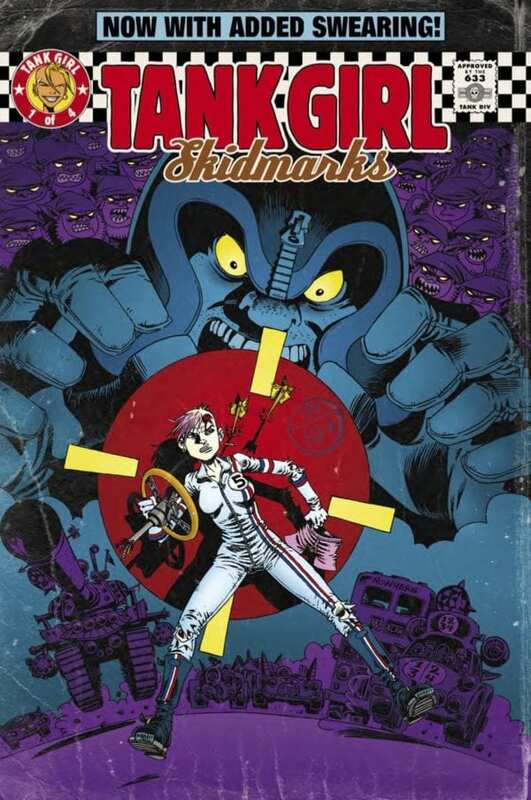 Carioca: After our heroine is rudely snubbed on a TV game show, she plots the death of the vulgar host in question unwittingly releasing the vengeance of his embittered wife and a gang of highly trained assassins as a result! 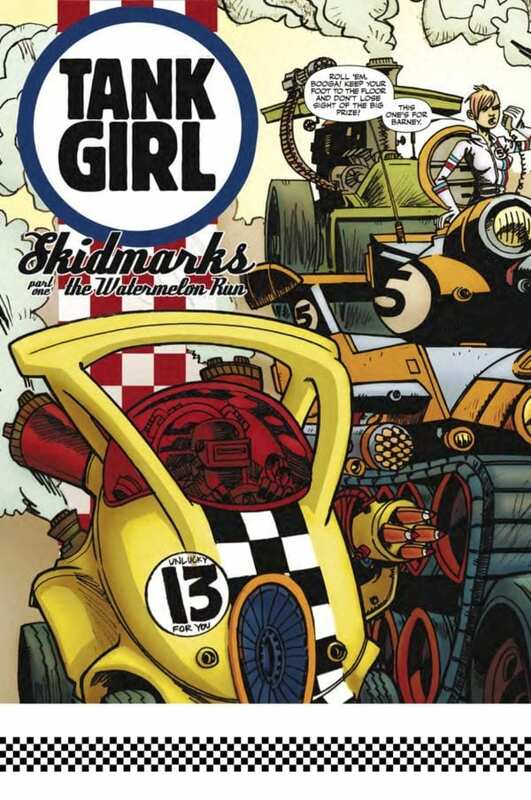 Skidmarks: Drawn by Rufus Dayglo. 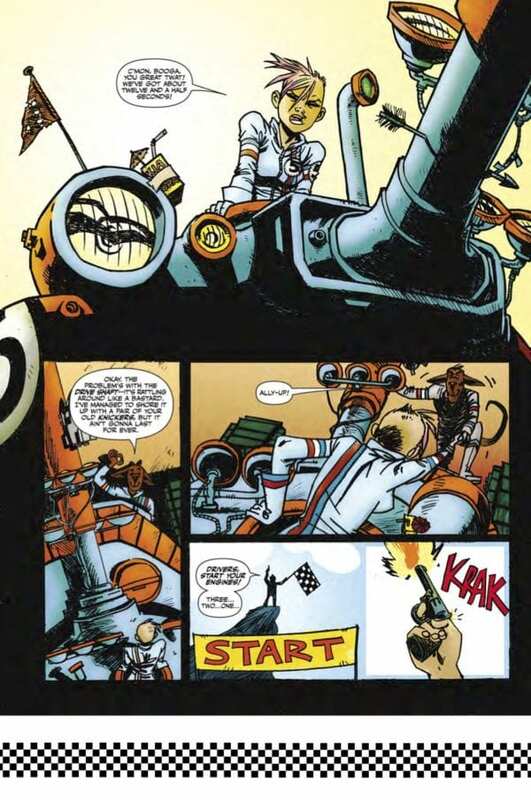 Tank Girl sets off on an illegal cross-continental race in a bid to win enough money for an incredibly expensive operation to bring her best friend Barney out of a skateboard-accident induced coma. 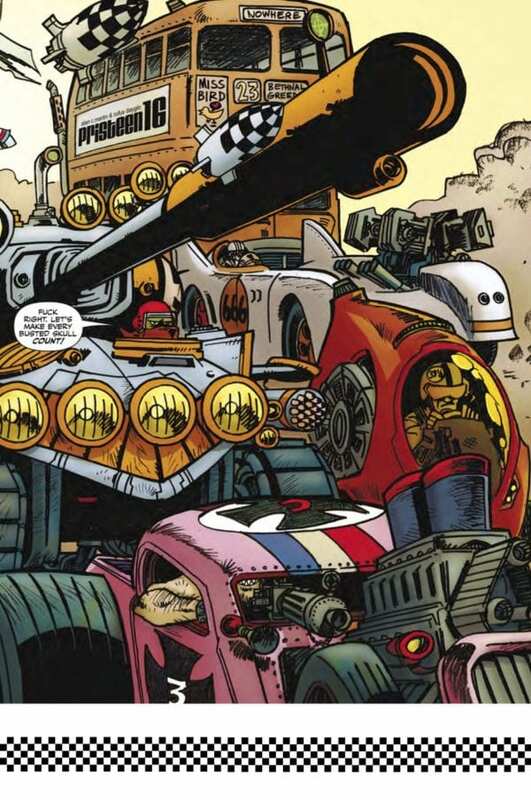 Dirty Old Tank Girl is set for release on Tuesday, March 19th, priced $24.99.